One of the recent respondents to my Welcome survey wrote that the one thing she wanted to accomplish in the next six months was to “Move at least 50% of my current donors to the next giving level.” When asked what was standing between her and this goal, she responded, “Donors personal limitations.” Remember two important rules: one, there are no limitations and two, never assume. Here’s a wonderful story you’ll appreciate. The way we communicate the extraordinary, life-changing nature of (our) experience for both recipients and donors needs to quicken pulses, open minds, and inspire hearts. 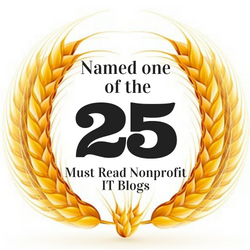 The Amazing, wonderful, magical work of nonprofits. New from Devin Hermanson. Learning Is the Most Celebrated Neglected Activity in the Workplace. New from Harvard Business Review. New must read from Gwen Chapman, Another Donor Complaint – So Who Cares?! 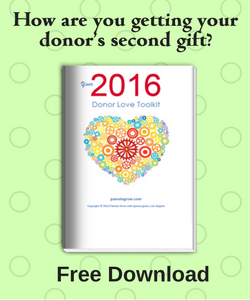 And after you read that, pick up this New Automated Fundraising Tool. Free. Forever. Courtesy of The Agitator. Delight to Connect (Case Study: Relationship Building). New from Nancy Schwartz. 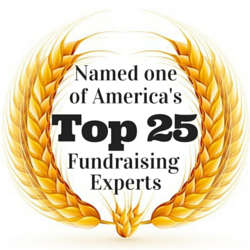 It’s true, most fundraisers aren’t doing what it takes to attract millennials. And that’s okay, because people in their 20s and 30s are just not very good prospects. Jeff Brooks. What can you do when you’re just starting out, without a large donor base and no funding for acquisition? 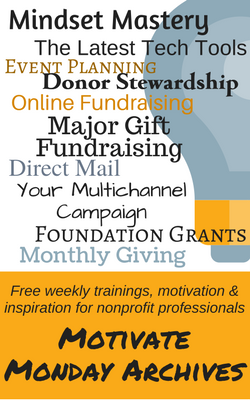 What’s in my Mailbox | Smart business makes smart fundraising. What’s in my Inbox | Holiday e-appeals and light boxes. Gorgeous holiday emails and corresponding light boxes you’ll love! Marlene Oliveira with Graphic creation tools for nonprofit marcom pros. 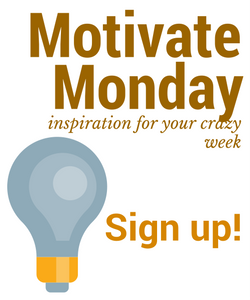 Are you bothering people…or inspiring them? New from Mary Cahalane. 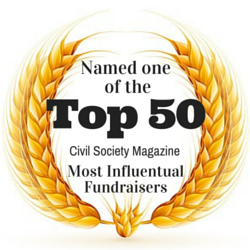 What’s next in fundraising? Simon Scriver. Why? Because “bequest” is what we call it. 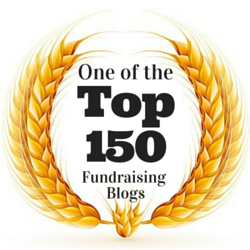 The high cost of jargon in fundraising. Jeff Brooks. “… taking the time to plan – to think through your case for support, to think through the way you’re going to win that support – is the best way not to waste your time.” Via Mary Cahalane. Registration for Your Fundraising Plan and Case for Support ends today. 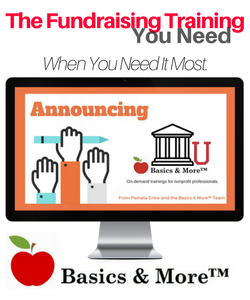 Basics and More™ Fundraising. You have embarked on a journey of saving lives. On behalf of all those whose lives you will touch … THANK YOU! “I am so thrilled to say we are having an INCREDIBLE year. Typically, the first 6 months of our fiscal year are…tight (to say the least). However, we’re already about 60% of the way toward our total income goal for the fiscal year. I know the business of nonprofits pretty well, then I get “The Grow Report” in my email & I start all over again. Awesome stuff. I had great success with the last course I took with you. My first end-of-year appeal campaign (sent mid December, a 4 page letter and lots of ‘yous’:) came in 38% higher than the previous year so far! And envelopes are still coming in. Very exciting. 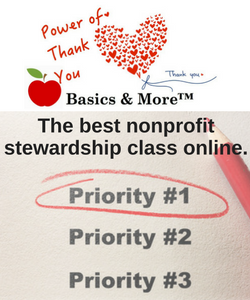 “I’m glad I took this course (Monthly Giving | Basics & More) to help me really concentrate on our monthly giving program. It was there but not fully developed. “Last fiscal year we had our best year ever. We reached out to lapsed donors and also segmented the database for our annual appeal. The result was a 15% increase in the number of supporters (I currently prefer the word ‘supporter’ to ‘donor’) who gave to our organization. Oh my gosh Pamela, whenever I read something of yours I get all fired up and want to do it all TODAY! Thank you very much for being such a wonderful resource for me! I had great success with the last course I took with you. My first EOY appeal campaign (sent mid December, a 4 page letter and lots of “yous”:) came in 38% higher than the previous year so far! And envelopes are still coming in. Very exciting. 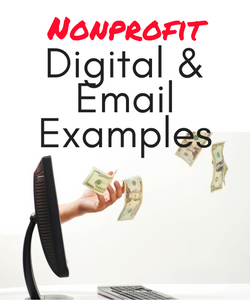 I really appreciate the way you focus on small nonprofits with easy to digest info and tactics. I get really tired of most consultants and nonprofit sector pundits (do we have pundits?) talking and making presentations as if everyone has a full development staff. Thanks. Brooke F. Sulahian, President & Co-Founder, Hope for Our Sisters, Inc.
Last week, I received my first $100,000 gift. I have such great stories to tell about the good work we do. It’s easy to be passionate when you’re doing what you love. I really received the reigns of the foundation in late October. Since then, I have raised nearly $325,000. My annual appeal was very successful. Using your book, webinars, classes, etc. I am moving forward nicely! Pam’s rewrite of our recent annual appeal resulted in a 36% increase in gifts over last year’s. She also worked with us on our follow-up letters and those have already brought in 17 new donors! Thanks for all the information you continue to share; it’s invaluable to little nonprofits like us. Ho! Ho! Ho! It feels like Christmas all over again, Pamela. I am now holding a printed copy of a 57 page book packed with information about donor cultivation. This is supposed to be one of my “specialties” in the little pond in which I reside, but in just flipping through the book as it was printing, I saw several ideas that had not crossed my mind. I am reading and marking up the book tonight, so I can get started using your ideas tomorrow. Simple Development Systems is absolutely easy to use, easy to understand and covers all of the topics I’ve had to self-teach myself in an organization with no dedicated development staff. 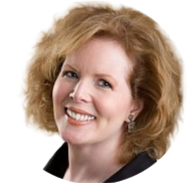 I just wanted to let you know how useful I found your “Thank You” webinar with Pamela Grow in early December. I realized how many mistakes we were making in acknowledging our donor’s generosity. The best part was many of Pamela’s suggestions were so easy to implement it didn’t create a big project for us (always a plus). Thank YOU for offering the webinar – it was one of my faves so far. Thank you again for The Grow Report. 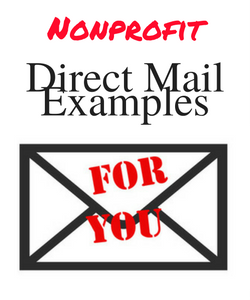 It is one of the many nonprofit marketing and fundraising newsletters I receive. However, it is one that I can consistently count on for ah-ha moments. I always seem to come away with a few pearls to inspire me…and kick me into action. thanks! I have to tell you that this book was AMAZING when I started my new job. It helped me craft my 30-60-90 day work plan. I would highly recommend it!!! Thank you for always providing helpful, inspiring content. It makes this job so much easier knowing we’re not doing it alone! Rachel Ramjattan, Special Projects Coordinator, Catholic Charities of the Archdiocese of Miami, Inc.
“Programs like yours take some of the fear away and remind me that all progress is incremental and I just have to take it step by step. Patti Young, Development Director, HALO-Flight, Inc. I love how you do the research for us and post the best of the best. This is a tremendous help for those of us who are a one woman shop and don’t have the time. Thanks! First of all, your Grow Report is absolutely fantastic. It has not only educated me – it’s made me laugh too! Not to mention, the personal side of it is SO appreciated (especially since most of the reports I receive are so robotic and too serious – it’s enlightening to read something that presents valuable information in a fun way! Who says fundraising and grant writing can’t be fun?). So, THANK YOU. Brenda Riehl, Director of Development, SouthEast Lancaster Health Services, Inc. Thanks for the Grow Report! It’s my favorite source of development information! Please know you are a big part of our development team here at the Intervale, and we not just achieved but exceeded our community fundraising goals by $24,000 in 2013 thanks for great advice and support from Simple Development Systems!! I am newer to the development field (after a 20 year Human Resources run) and I find it rewarding and fascinating. Your book helped me to feel good that I am putting my efforts into the right places. Gratitude is the starting point of all generosity. I loved your calendar for stewardship and will use it to enhance my quarterly work plan efforts. I really enjoy your newsletter. Thank you for all your efforts and good information. You make it possible for me to get the best of what’s out there in one easy and fun shot every Thursday morning – I just wish I had time to implement everything! Thanks Pam for your weekly words of wisdom. 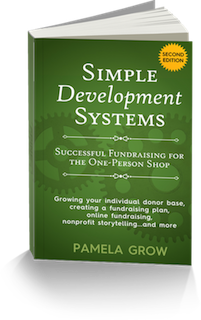 “And this is what I love about the Simple Development Systems membership and your support for us — it makes us believe that we can do it and teaches us how to get started. We’re actually launching our first ever Major Gifts strategy in 2016, and I walked away from that webinar with a concrete plan of action that we are already starting to implement. I LOVED it — so thank you! Pamela I really enjoy your weekly updates and blog. 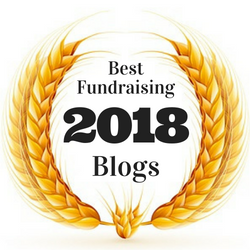 With a small budget and a smaller development budget you have truly made a difference in the nonprofit arena as we share your tidbits and highlights with our members. Thank you. Simple Development Systems is fantastic! I’m about to be a new ED and I am excited to lead the organization into a new era of donor centric activities. Last week, I received my first $100,000 gift. I have raised nearly $325,000. My annual appeal was very successful. Using your book, webinars, classes, etc. I am moving forward nicely! The idea of a donor ‘welcome kit’ is awesome. I am going to implement MANY things – too many to mention. But I will say that sending out cards for other occasions is genius! How wonderful for donors to get a card on Thanksgiving before the holiday rush. We have a great communication plan and I have a contact strategy, but your WOW calendar gives me a great tool to merge the two. Keep up the good work! Thanks a million for the free book! You really cut to the “meat” of what it means to be small shop and you “get it” in a way that so many fundraising gurus don’t. I wish I’d had your book the day I started. I am 10 months in and feeling overwhelmed and under equipped. I hit the ground running and in retrospect feel I have been both reacting and drifting ever since. Wish I could have the first 100 days back! Second and third 100 too. Your book and toolkit provides some structure and immediate takeaways for me. Thank you! Thank you. By purchasing through these referral links you’re allowing me to continue to publish The Grow Report free of charge - and empowering thousands of people worldwide to become more effective fundraisers. You rock! Want to Meet with Pam? I can’t wait to meet with you personally. You’ll be amazed at how 45 minutes on the phone can help open up new ways of thinking or get you through a current challenge. We’ll tease out the issues and I’ll offer some practical suggestions. And a major dose of inspiration. Scheduling and payment is quick and simple—$250 for a 45 minute session paid prior to our meeting (using PayPal or any major credit card). After you fill out the order form and payment screen, you’ll move on to a online scheduling calendar to book your appointment. Ready? Click “Schedule Now” below.